I have wanted those books for a long time! What a great giveaway and idea for a post! I can’t wait to read about education experiences of others. I took ICL’s courses–magazine and novel–for writing for kids and enjoyed them very much. I learned quite a bit about writing, revision, and the market. Highly recommended classes if you can’t attend a university. Thanks for stopping by Danielle! I love both of these books and plan on spending more time in them come September! I’ve got the ICL class on my radar for January…have wanted to do it for years but life always seems to get in the way! I found the novel course challenging and I love challenges! I had a 2 year old and a 6 month old at the time. Finding time to write was a huge chunk of the challenge. But so worth it! I had a professional writer help me with my plot, characterization, everything. It proved to me I could write a novel and also showed me the real work involved. That’s awesome Danielle! And I know what it’s like to write while raising kids. It’s its own kind of challenge. Thanks so much! One of the first writerly education experiences I had was a SCBWI Fall Conference… I’d never been to one before, but what an awesome opportunity to meet other authors and learn about the industry. Jay Asher was one of the speakers and he rocked! I’ll be forever grateful for this all-too-short weekend and the community it introduced me to. Hi Joseph! Thanks so much for sharing. And yes, attending SCBWI conferences is one of the best ways I know of to get educated about kidlit and become part of such a wonderful, supportive community! Thanks for chiming in! One of the best things I ever did was join SCBWI–not only did I find plenty of educational opportunities through conferences and continuing ed but I also found critique partners, which have, perhaps, given me the best feedback/education of all. I wholeheartedly agree Erin! 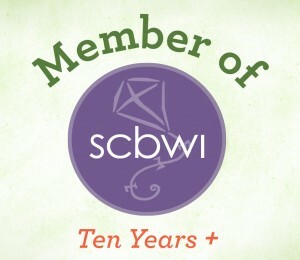 I don’t know where I’d be without all the resources of SCBWI! If you are a kidlit writer and haven’t joined, I strongly recommend it. Thanks for the comment Erin! I just finished summer school with the Nerdy Chicks and I would do it again in a heartbeat! 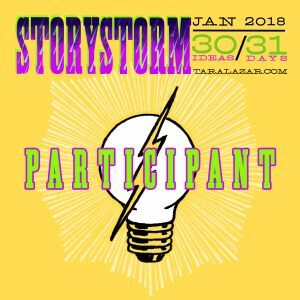 It was 4 weeks full of amazing advice from a number of authors including AC Gaughen, Tara Lazar, and Kelly Light. Sudipta and Kami ( the nerdy chicks ) are considering what to do for future web classes so be on the lookout for those awesome opportunities! I am attending the Fall Scbwi-mi conference on Mackinac Island. Can’t wait! Good for you Sheila! It looks like a great one, and I’m sure you’ll learn lots of amazing things! That’s awesome Jodi! I had not heard about that group, so I’ll be sure to check it out! My character The Monster had a tarot reading at my writing and yoga retreat! It was very accurate and helpful and I am not crazy! Well now that’s thinking outside the box Lisa! LOL! You can find writer education just about everywhere if you’re always looking!